Costumes are essential for any Halloween party…but not just for the people attending. The food can be dressed up for the occasion, too! Halloween night can be one of the busiest for trick-or-treaters and parents alike, so leave the cooking to us! 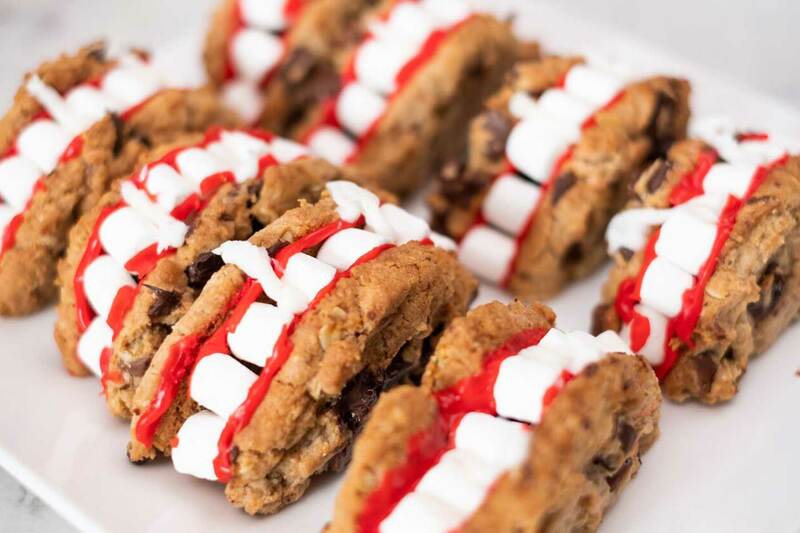 Here are three simple ways to transform Chick-fil-A Catering favorites into spooky-fun snacks! 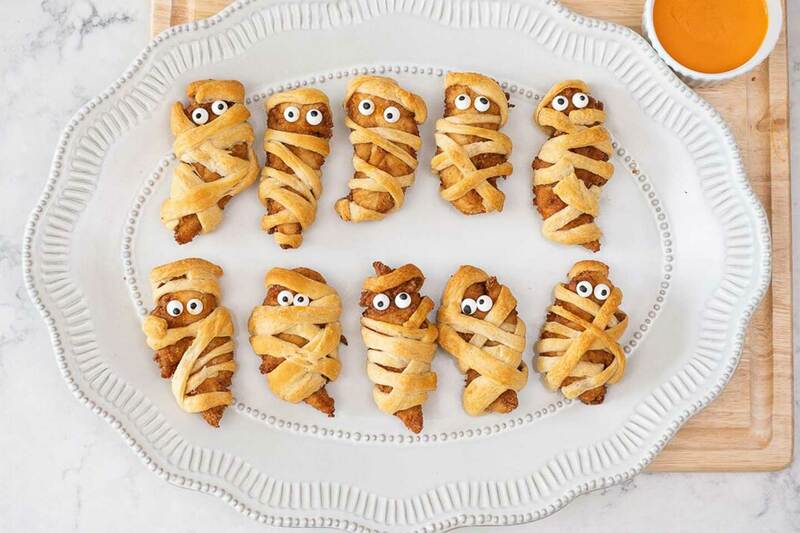 Party guests of all ages are sure to have a ghoulish good time with this savory snack! All you need is pre-made dough and candy eyes to dress up Chick-n-Strips for a delightful treat! Want to know how Chick-fil-A’s Chocolate Chunk Cookies can taste even better than they already do? Simple! Just add some icing fangs and mini-marshmallow teeth. You’ll have a smile on your face after just one bite into this sweet tweet. Strike a nutritious balance Halloween night with a treat filled with fresh-chopped apples, strawberries, blueberries and mandarin oranges. 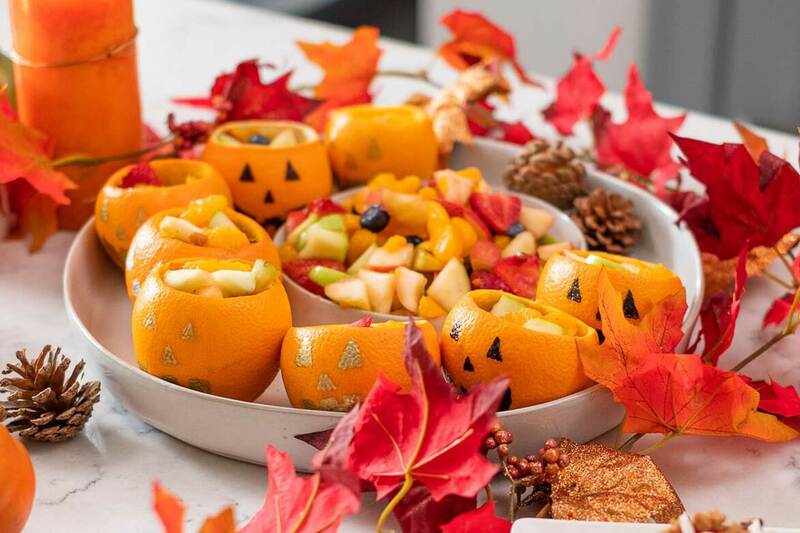 Fruit Tray Jack-O’-Lanterns will make eating fruit festive and fun on Halloween night!